We are still wallowing in all the peaches and nectarines I have picked. 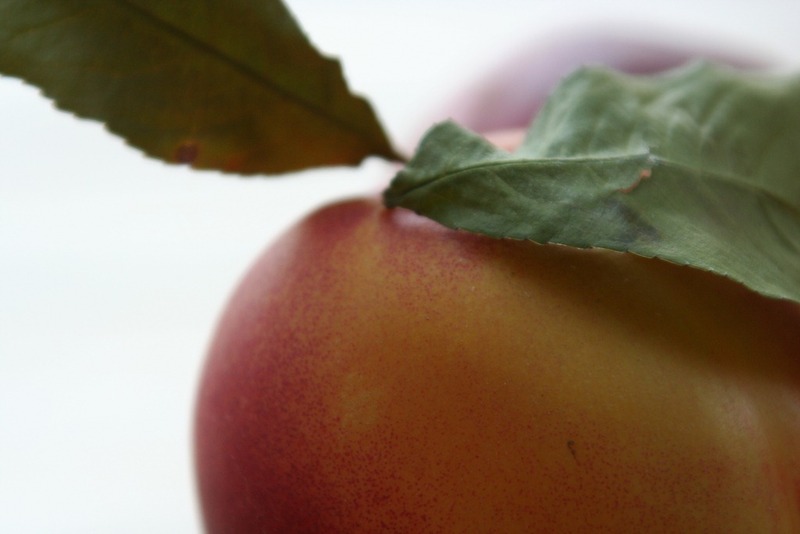 There is nothing so perfect as a ripe peach. Or ripe nectarine for that matter. My own little peach trees are producing my own little peaches. I am looking forward to next summer when I will be able to lay down on the ground under my own little peach trees and just let the peaches fall into my mouth. That vision brings new meaning to fast food. Peaches and nectarines both grill very well. Why not break out the old BBQ for breakfast use? Peaches need to be peeled but nectarines don’t. 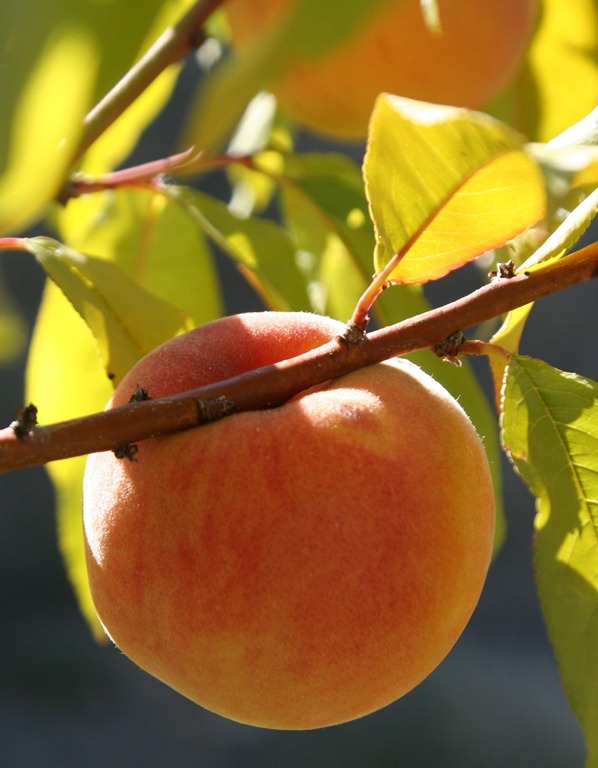 A ripe peach should peel easily without dropping it into boiling water for 30 seconds. Note: I specified a RIPE peach. 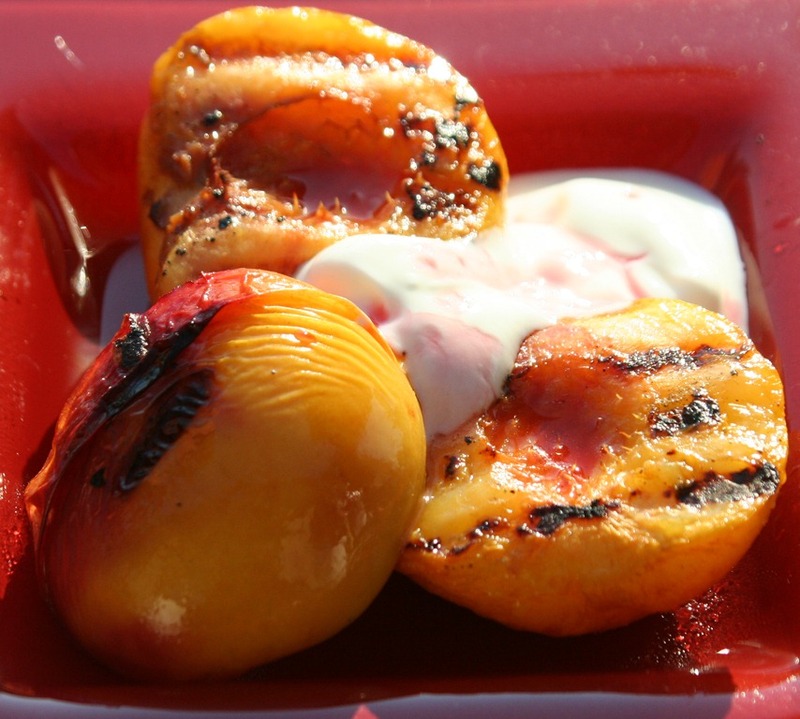 These grilled peaches are wonderful for breakfast but they can also be used as dessert when barbecuing your evening meal. For dessert serve them with ice-cream or cake. Since you already have the BBQ on for breakfast, grill some good bread and serve with the peach preserves you prepared previously. 1. Brush peeled, pitted peaches with vegetable oil. 2. Heat BBQ to medium (350F). 3. 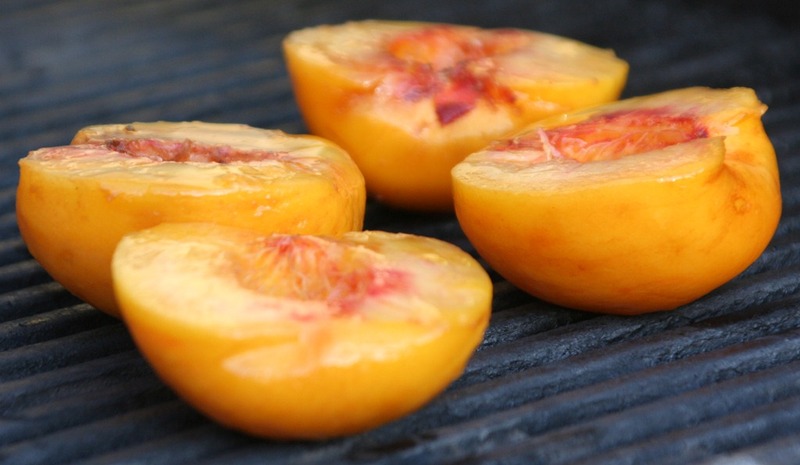 Gently place peaches on the BBQ grill, close the lid for 4 minutes. 4. This is the tricky part. 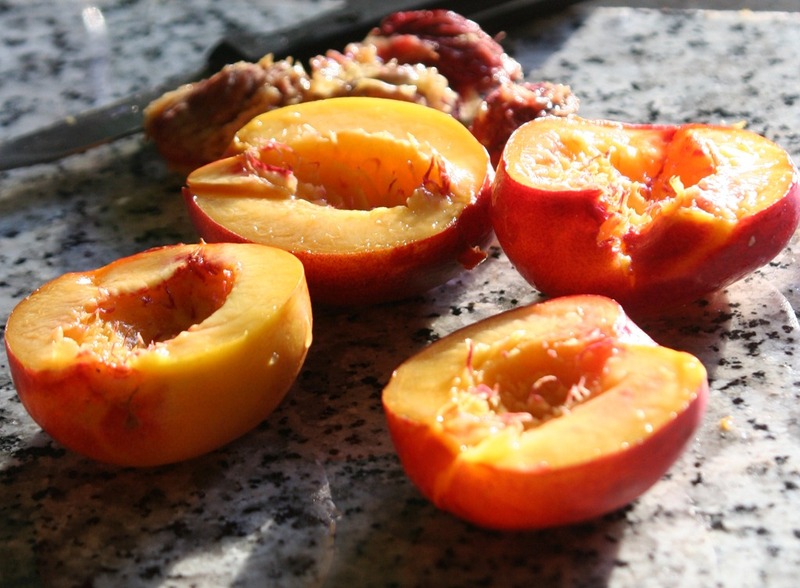 Don’t be tempted to turn the peaches over if they won’t release from the grill on their own. The idea is to have grill marks on the peach flesh. 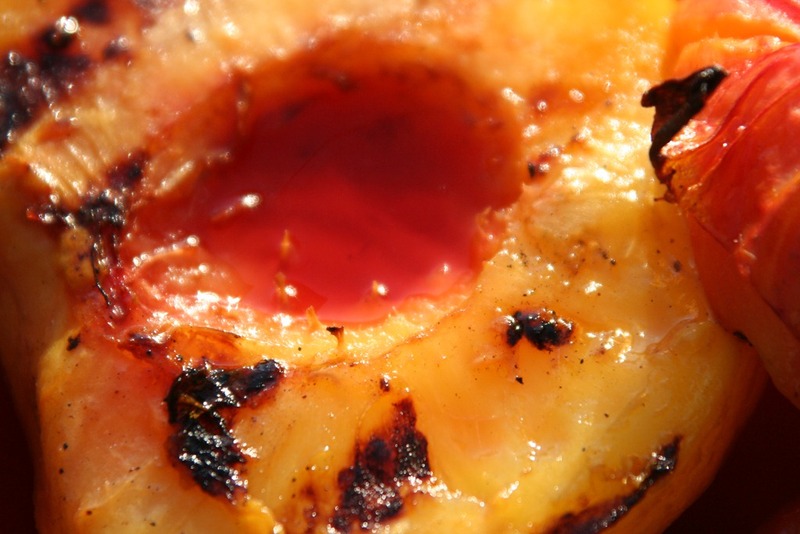 If the sugars have not completely caramelized, the peaches will not release and if you try to force it, you end up with the grill marks left on the grill. 5. Turn peaches for a further 3 or 4 minutes. 6. That is all there is to it. Sprinkle Raspberry Infused Wine Vinegar over the peaches. Serve on their own or with yogurt. Grind a little black pepper over the peaches if you like. i had a similar dessert. Baked peach halves with cinnamon, butter, pecans, and brownsugar. icecream.